The Rivers State Government has condemned the melodramatic images of heaps of cash, circulated in the media by the so-called police panel of inquiry into the December 10, 2016 re-run elections in state. 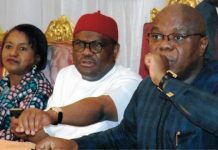 According to the police, the heaps of money were “evidence” of bribe allegedly given to officials of the Independent National Electoral Commission (INEC), by the Rivers State Governor, Nyesom Wike, during the re-run polls. Reacting to the statement, State Commissioner for Information and Communications, Dr. Austin Tam-George said the police action was shameful, defamatory and reckless in the extreme. “Never in the anuals of the infamy have we seen a vital State Security institution descend to the lowest depths of blackmail and criminality, as the Nigeria Police Force has done in this case”, “the Information Commissioner said in a statement. “A month ago, we alerted the world to the dark, Orwallian plot by the Nigeria Police to implicate Governor Wike in a phoney bribe scandal. Now, the police appears to be acting with shocking predictability, by making wild and completely groundless allegations against Wike,” he added. 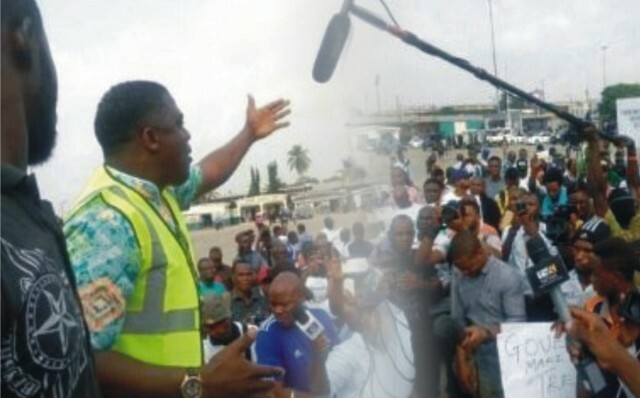 Against this background, he said the Rivers State Government challenged the Nigeria police to show proof that Governor Wike financially induced any official of INEC. “Does the Police have bank records of the purported transactions between Governor Wike and the electoral officers? 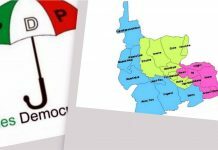 We challenge the Nigeria Police to move quickly to prosecute and imprison the so-called electoral officers on the basis of this dubious investigation, while strongly believing that the Police panel is part of a bitter, politically-driven smear campaign launched by the Federal government against Governor Nyesom Wike, and the people of Rivers State, he noted. The police is desperately seeking to divert attention from the disgraceful and criminal roles played by its officials, in the snatching and stuffing of ballot boxes during the December polls. 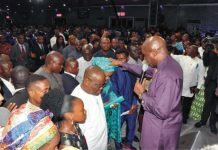 He was emphatic that the state government would not succumb to the juvenile antics of the All Progressives Congress and its security surrogates. Meanwhile, a statement from Government House, Port Harcourt, signed by the Special Assistant to the Rivers State Governor, Electronic media, Mr. Simeon nwakaudu said their attention has been drawn to a press conference addressed by the Inspector-General of Police (IGP) Investigative Panel on Rivers Rerun wherein the panel claimed that the Rivers State Government spent N360million to ensure that the rerun legislative elections of December 10, 2016 were rigged in favour of the Peoples Democratic Party ( PDP). The statement is patently false, politically motivated and cooked by the Nigerian Police to justify the violence they visited on the people of Rivers State during the rerun, it said. The Inspector General of Police and his team are neck deep in crime. This statement credited to the Police High Command is aimed at diverting attention from its loss of credibility , after its attempt to assassinate Governor Nyesom Ezenwo Wike failed woefully”, it further stated. Okoro and the IGP Ibrahim Idris the statement said, was yet another fictional account by a Police Force that has lost its moral base as it is intent on reinventing itself through falsehood. The Press Conference by the Police High Command is a hasty desperate attempt to circumvent the judicial process as Rivers State Governor, Nyesom Ezenwo Wike has already challenged the legality of the IGP Investigative Panel at the Federal High Court, it said. For the avoidance of doubt, the Rivers State Governor, Nyesom Ezenwo Wike did not spend N360million to rig the Rerun legislative elections of December 10, 2016. 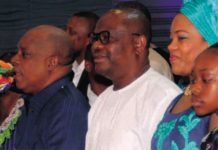 The people of Rivers State overwhelmingly voted the PDP across the state because of the outstanding performance of Governor Wike since May 29, 2015, it further said. It is said the drama at the press conference convened by the IGP Investigative Panel and the IGP reveals the script being acted by the Police High Command, which is now obviously an arm of the Ruling All Progressives Congress ( APC). 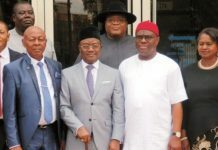 According to the statement, Damian Okoro claimed that three INEC officials who allegedly met with Governor Wike would be interviewed by journalists at the event. It said the IGP’s hatchet man after his false press statement refused to allow the promised interview to take place because he knew that the truth would be revealed. The Nigerian Police played an inglorious role during the December 10, 2016 , helping the All Progressives Congress ( APC) to rig elections in the few constituencies were they were declared winner. Video evidence in the public domain proved that the police killed, maimed, snatched result sheets and ballot boxes as they assisted the APC all through the ill-fated rerun elections, the statement said. According to the statement, on December 12, 2016, the Rivers SARS Commander, Mr Akin Fakorede was caught on camera manhandling electoral officials as he sought to rig the Rivers East Senatorial District in favour of the APC at the Rivers East Senatorial District Collation Center. Prior to the rerun legislative elections, the Rivers State APC Fake INEC Result Sheets printing Syndicate was bursted and the lead printer, Atonyesia Peterside arrested. The Nigerian Police has since swept the matter under the carpet, even though majority of the fake result sheets were used on December 10, 2016 by APC and pliant INEC Officials under police protection, it said. Even in concocting falsehood, the statement said, the Police High Command failed to display intelligence. A simple poser to the Police High Command: Where did the so-called electoral officials save the monies that they displayed before journalists two months after they allegedly received bribe? How come no funds were spent by the said officials under the present circumstances? 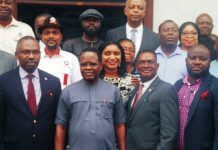 This entire drama is aimed at helping the Rivers APC at the Election Tribunal as the Police High Command did during the Rivers State Governorship Election Tribunal at Abuja, the statement said. According to it, Nigerians are not deceived by the Security Arm of the APC. The Police High Command as presently constituted will not escape the long arm of the law as they are complicit in the violence unleashed on Rivers people during the rerun legislative elections. It said, countless false press conferences and false press statements will not improve the damaged image of the Nigerian Police in relation to their ignoble role during the rerun legislative elections of December 10, 2016. The statement gave a final poser to the Police High Command: Why did the Police refuse to tell the World about the persons who killed DSP Alkali?